This film, a remake of the 1977 classic, was Disney's best film. Do they do film justice with this blu-ray or do they skimp on the goods? Behind the scenes footage with the director reading from his diary over the footage. This is the biggest making of we get for the film so we better eat it up while we can. I did like this approach, though, as it came off as very personal. I just wish that it was longer. 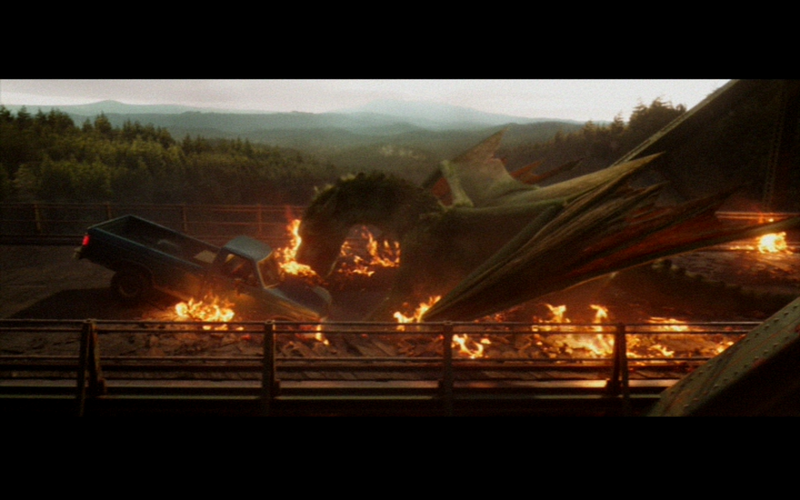 A criminally short look at the CGI used to create Elliot the dragon. Nothing that we haven’t seen before, but, again, it could have been longer. Director David Lowery presents scenes and shots that were deleted from the film. The footage is presented in all types of forms, from finished to rough. The score plays over the footage. The footage was rightly cut as it would have dragged the pacing down, but I can see why Lowery had a hard time cutting it. Funny faces, line flubs, sneezing and dancing. There are some amusing moments here. The commentary runs fairly smooth. There are plenty of stories and info to be found here, but the kids are fairly annoying. Take them out and the commentary would have been pretty good. Footage of the band playing and singing intercut with footage from the film. I have heard of this band, but have never heard their music. Now that I have, I can say that I have heard it. The song is just ok. I like Lindsey Stirling, but this song is not very good. I think that if they had left out the vocal then the song might have been better. The cast and crew talk about how great it was filming in New Zealand. Nothing more than an advertisement for New Zealand, complete with a logo at the end pertaining to vacationing in New Zealand. Disney has given us a nice looking package. The slip cover is nice and is embossed. Inside you will find two discs: one blu-ray and one DVD. 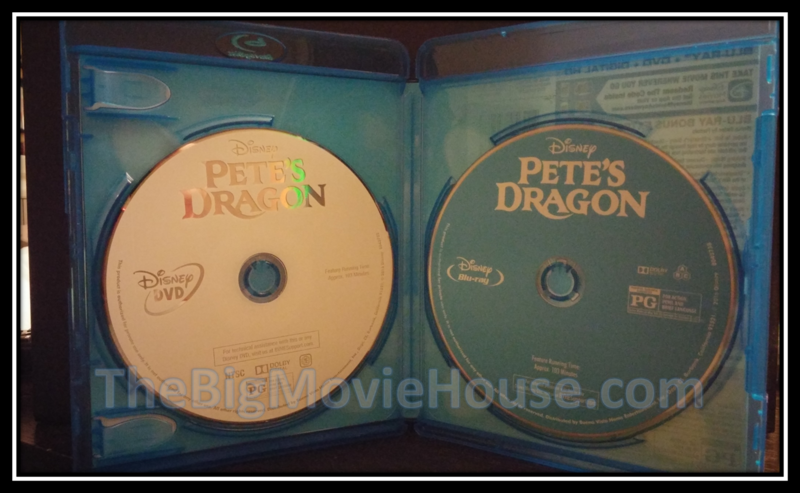 The both discs have no artwork, with the blu-ray donning blue disc art and the dvd donning white. 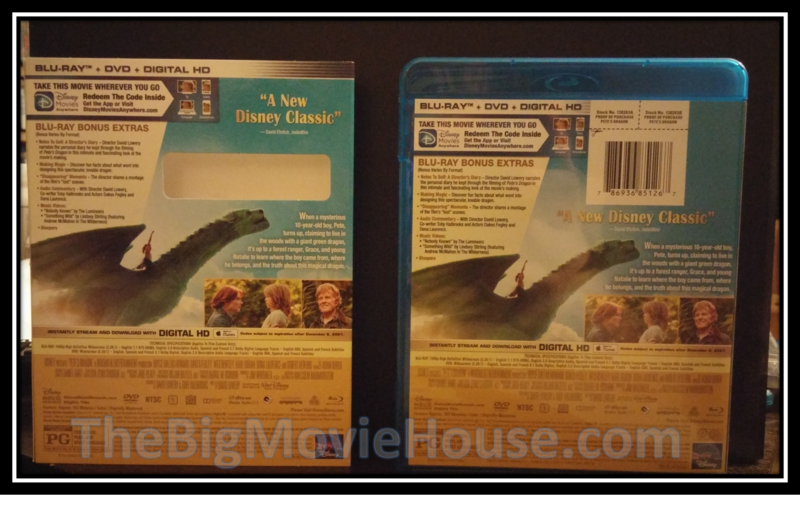 Also inside the case is a code that can be redeemed at www.disneymovierewards.com for points towards Disney merchandise as well as a digital copy of the film. Disney has had a banner year. Zootopia, The Jungle Book, Finding Dory, Captain America: Civil War, and Doctor Strange have all been huge hits for the studio. 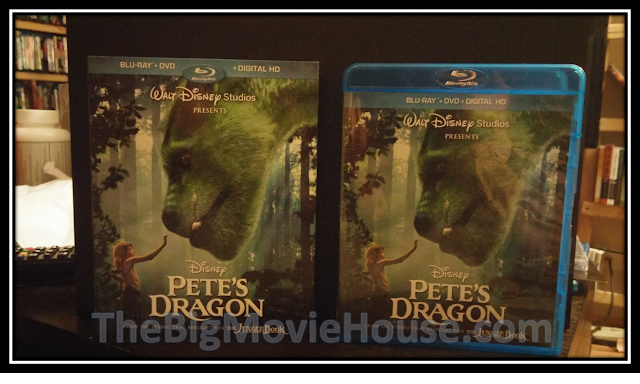 One would think that Pete’s Dragon would have been one of this films, but it wasn’t. Produced on a budget of $65 million, the film grossed $142 million worldwide. While the film was not a flop, it wasn’t a hit either. Critics ate the film up, receiving an 86% on Rotten Tomatoes, the film was almost ignored by the public. The ones who did see it loved it, but you would be hard pressed to find someone who saw the film in the theaters. So what went wrong? Why did people stay away from the film? The answer is: I have no idea. 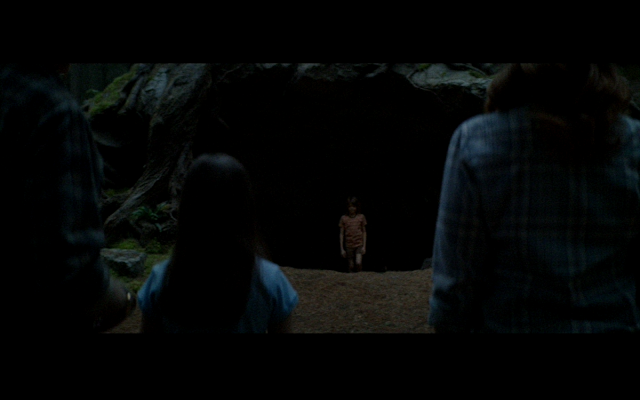 The film is about a kid whose parents are killed in a car accident. The child, who was also in the car, survives. He is about five years old and is scared. He is in the middle of nowhere and alone. He packs up the book he was reading when the accident happened and walks into the woods. It is here that he is greeted by a dragon. The dragon takes the child away to take care of him. Six years later, the child, Pete, has been living in the woods with his dragon friend, who he names Elliot. Even though Pete has been living in the woods all this time, he is found out by a forest ranger, played by Bryce Dallas Howard. She takes him home and finds out about his past. Meanwhile, some local loggers find out about Elliot and capture him in order to make money off of him. Pete and the family that found him do whatever they can to free Elliot. 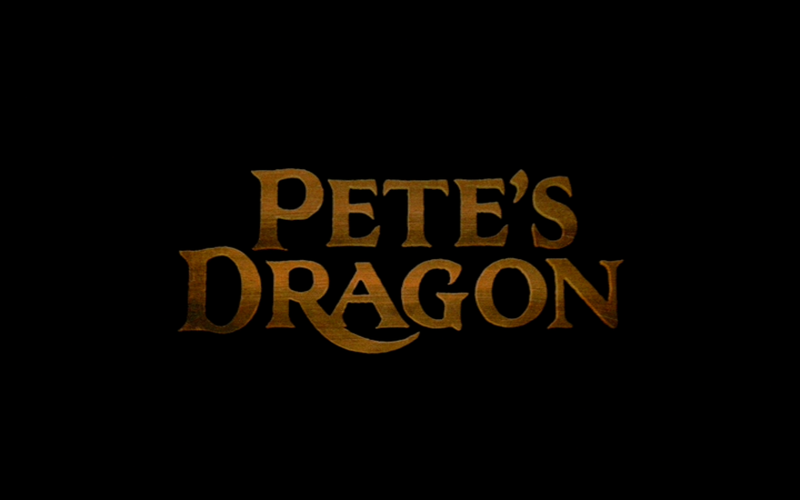 Pete’s Dragon is a remake of the 1977 film of the same name. I have never seen the original film, but from what I can gather, the remake doesn’t really follow the original all that well. To me that is ok. I think that films should be able to stand on their own, whether they are original or remakes. I believe that it is possible to separate a remake from the original, but most people have a hard time doing so. This version of the film harkens back to the days when family films were taken seriously enough, but still had a sense of wonder and excitement. The first time that we see Elliot in the day time, we are awed by the look of him. He isn’t the typical dragon that Hollywood keeps giving us time and time again. He has no scales, but fur and is very cat like in his actions. Elliot is curious about everything and has a joyous spirit that we don’t normally see in films anymore. The director, David Lowery, based Elliot on his cat. Elliot jumps around and loves to play. He chases his own tail and loves the water. I really liked this approach to Elliot. Anytime that we see a dragon in film, they are dangerous and ugly. Elliot, on the other hand, is furry and loveable. This brings a sense of magic to the film, something the film reminds. I have no problem with this as the film doesn’t shove it down our throats. 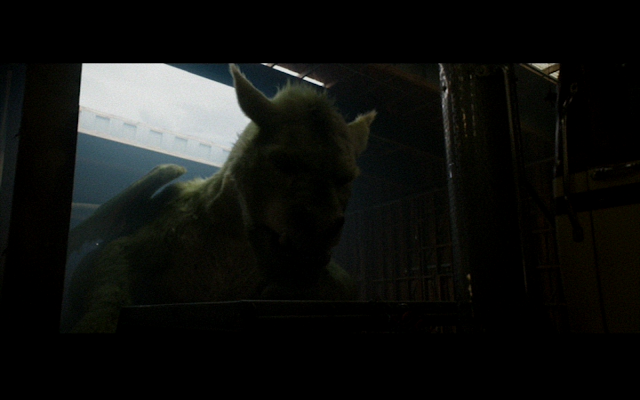 Pete’s Dragon is a great film, filled with wonder and awe. We believe everything that is happening and get caught up in the story. I really can’t find anything wrong with this film. Trust me when I say that this is one of the best films of 2016. I wish that Disney had put more time and effort into the special features of this disc. The features that are here are pretty underwhelming, save for the commentary and the deleted scenes. Almost every special feature seems to be a shorter version of something better. Don’t get me wrong, the picture and sound quality are outstanding. They should be as this is a brand new film. The only thing that I didn’t like about the film is the dark scenes. 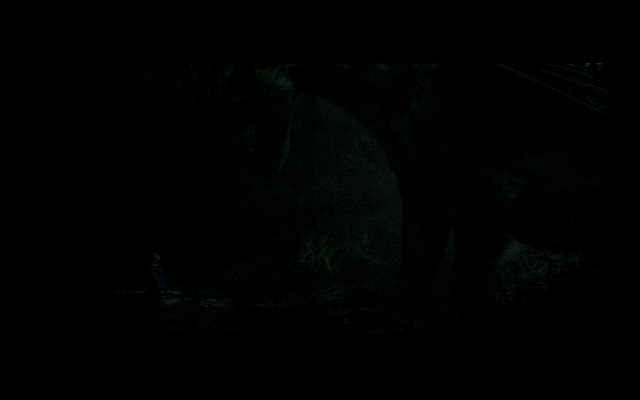 There are long stretches in the film that take place at night. These scenes are really dark. Not Aliens vs Predator: Requiem dark, but sometimes things are hard to make out. Outside of the lackluster special features, this is a film to own. I was really caught up in the film and enjoyed immensely. This is one of the best films of the year and the best film that Disney released this year.